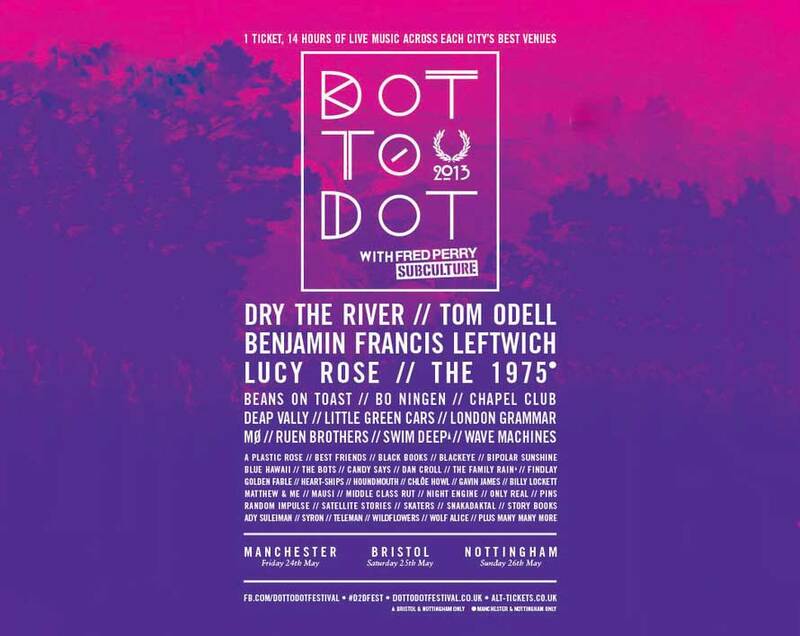 The excellent Dot To Dot Festival is almost here (have you got your tickets yet?) and they recently announced where everyone will be playing. So now is the time to start planning where you need to be at what time in order to see you know who. To help with your planning (or maybe it will just complicate it), we made a mix tape of 20 of the artists that we're looking the most forward to seeing. So if you hear something you like, check the venue listings and make note of when they're playing (and remember to get there a bit early). And if you don't have tickets already, you really should do something about that… it's going to be a pretty ace today of music in Notts. (for further exploring of the huge amount of artists playing, check the Dot To Dot website, the Bodega site, and you can also just bust out some googling). The Dot To Dot Festival is quickly approaching (May 26th to be exact), and you'd be hard pressed to find a better deal than spending £20 on a ticket that grants you access to 14 hours of live music across some of the best venues in Nottingham (featuring a wide arrange of established, up & coming, and soon to be well known bands). Get more details about this not to be missed event over on the Dot To Dot website.